Published at the end of 2011, Going The Half Hog is still relevant. 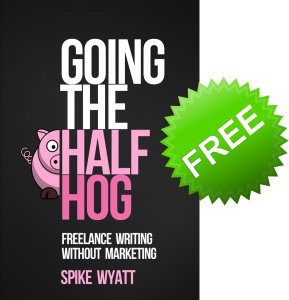 The book turns accepted business thinking on its head to reveal the secrets of building a successful part-time freelance writing career without wasting your time and energy on self-promotion. 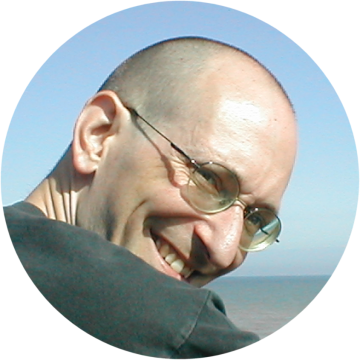 Condensing years of accumulated freelancing knowledge into a single volume: with all the research, achievements, mistakes, stumbling blocks, tips and little-known tricks in one place, it’s an outstanding resource for beginners and experts alike. It’s still for sale on Amazon but you can download the free 114-page PDF version here. There will always be more of everything except time. As a half-hogger, your ability to focus on the most important things is absolutely critical to your success. Marketing is not one of those things. But without marketing, you don’t exist: your potential clients can’t find you, they can’t discover what you do and they can’t take the essential step of hiring you. 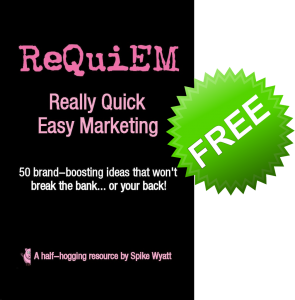 That’s why you need ReQuiEM: 50 marketing tactics that won’t break the bank… or your back! Also still for sale on Amazon, but you can download the free PDF version here.